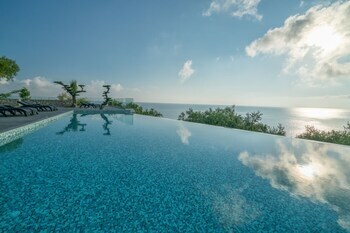 Located in Zakynthos, Kymothoe Elite is by the sea, within a 5-minute drive of Tsilivi Beach and Akrotiri Beach. Featured amenities include complimentary wired Internet access, express check-in, and express check-out. For a surcharge, guests may use a roundtrip airport shuttle (available 24 hours) and a ferry terminal shuttle. With a stay at Hotel Miramare in Pylos-Nestoras, you'll be a 3-minute walk from Antonopouleio Museum of Pylos and 5 minutes by foot from Pylos Castle. Free self parking is available onsite. With a stay at Pantheon Apartments in Kos, you'll be near the beach, just a 2-minute walk from Port of Kos and 6 minutes by foot from Eleftherias Square. When you stay at Poikilma Alonissos Villas in Alonissos, you'll be near the beach and 9 minutes by car from Chrisi Milia Beach. Free self parking is available onsite.